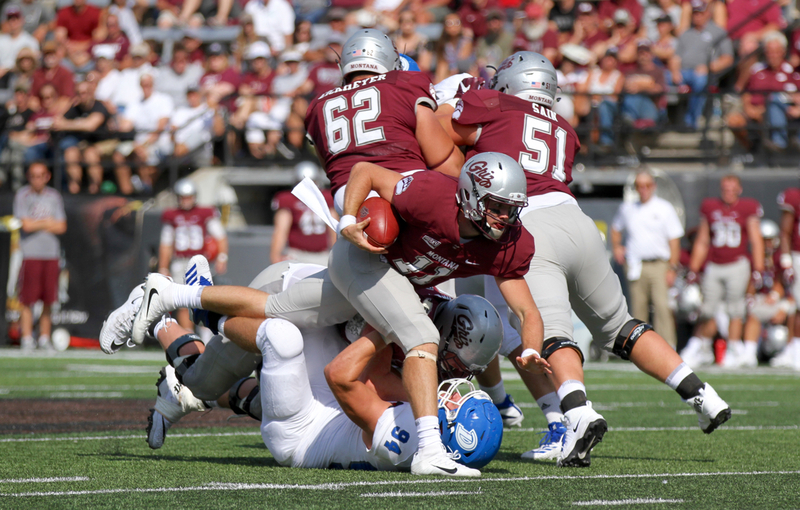 MISSOULA — Montana’s most glaring weakness glared sharply for the first 35 minutes of Saturday’s action at Washington-Grizzly Stadium. As UM junior center Cody Meyer lay on the turf writhing in pain, a dire situation somehow looked more deep. A Montana offensive line that lost four starters off last season’s adequate unit was down yet another body. Junior Angel Villanueva took limited reps early on in fall camp because of an undisclosed injury. 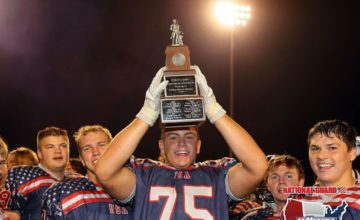 Sophomore left tackle Conlan Beaver is still trying to recover from a bout with mononucleosis that caused him to lose a noticeable amount of weight in the off-season. 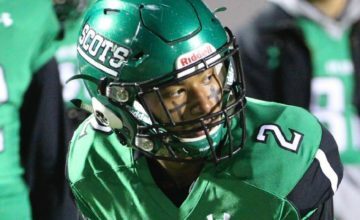 Sophomore guard Brandon Scott suffered a head injury during spring football that has kept him out thus far this season. Junior Dallas Hart is sporting a cast on his hand and a gate in his step, limping because of a leg injury he suffered during fall camp. Those circumstances has left the Griz with a left side that is not at full strength, Meyer,a former walk-on who just recently earned a scholarship, starting at center, sophomore Dylan Eickmeyer thrust into the starting role and right guard and redshirt freshman Colton Keintz, a football player for just four years after walking on from Missoula Big Sky, as the starting right tackle. When Meyer went down early in the third quarter against the visiting Drake Bulldogs, UM had to dip even deeper into the reserves. 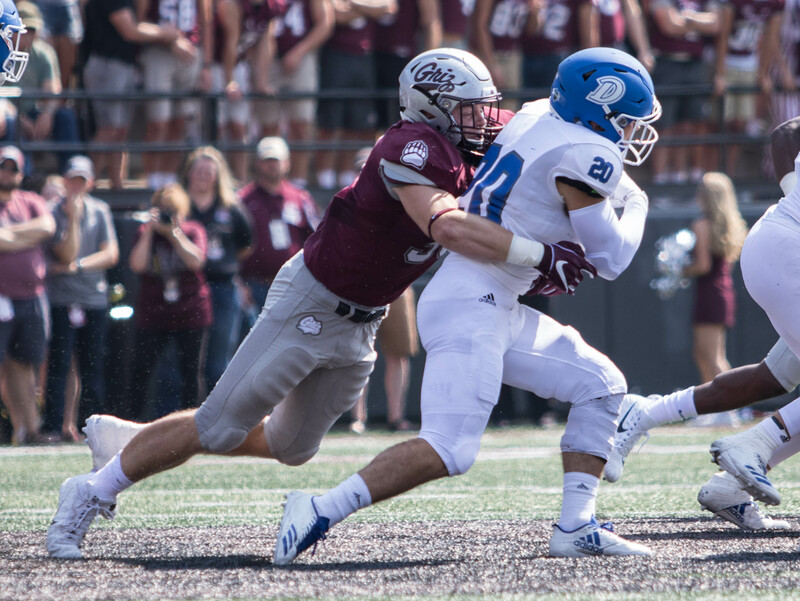 Redshirt freshman Skyler Martin, who needed to gain more than 20 pounds to get up to his roster weight of 272 pounds, entered the game for a few possessions but had a hard time getting a push against Drake’s physical, veteran defensive front. 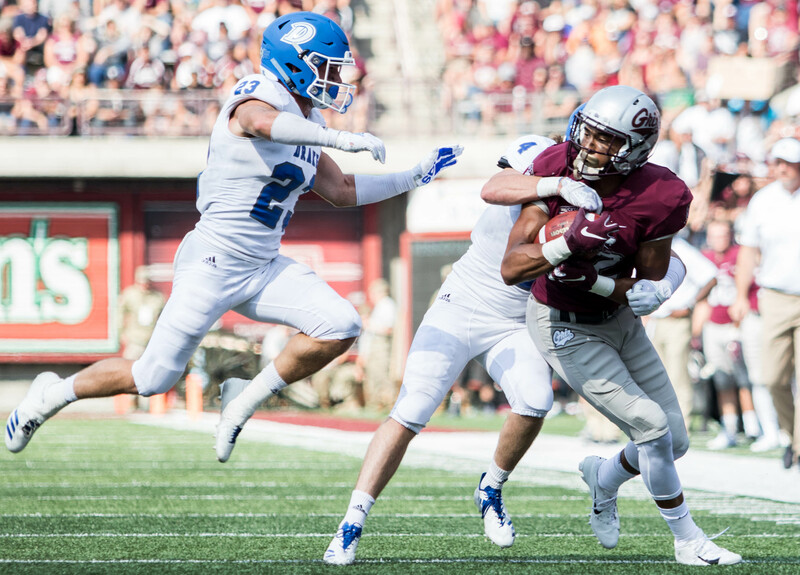 By the midpoint of the third quarter with the Griz clinging to a 10-3 lead in a stagnant affair against what was supposed to be an overmatched visitor, UM inserted the son of a former Bobcat. Cole Sain, a 6-foot-4, 277-pound true freshman, entered the game at right guard with Eickmeyer playing center. Montana could not convert on three different third downs with two yards or less to gain. After getting stuffed yet again, UM head coach Bobby Hauck called for a fourth down try from the Drake 37. 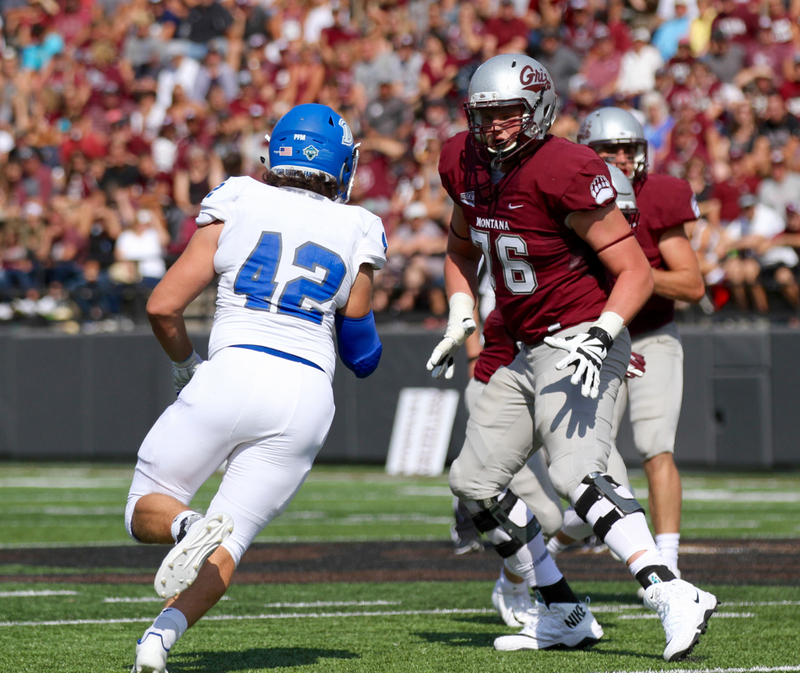 A low snap actually proved beneficial as the chaos at the line played out before Adam Eastwood burst through his first crease as a Griz running back. The redshirt freshman former San Diego State transfer galloped 37 yards for a touchdown to give UM its first two-score advantage. 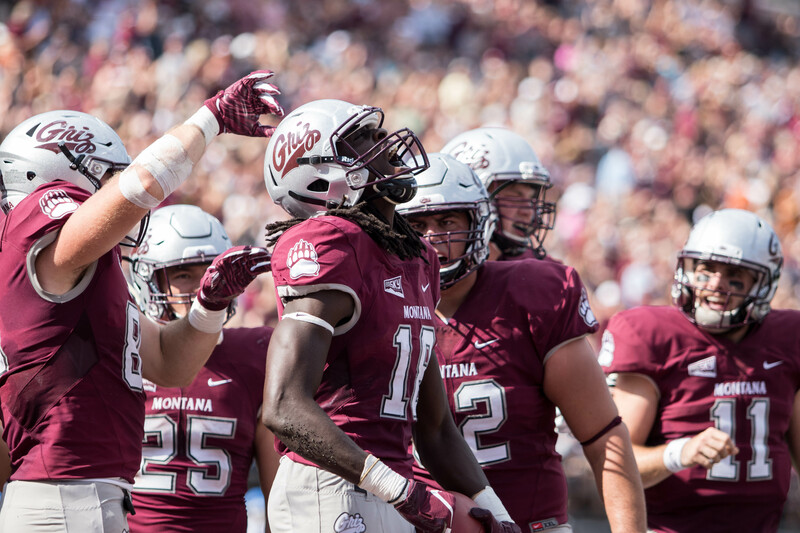 From that point forward, Montana’s offensive front held its own as the Griz surged the final 20 minutes to a 48-16 victory. Drake did not stop coming after Eastwood’s breakout jaunt. Facing their own fourth down, the Bulldogs ran a slick fake punt with a snap to the up back who then gave a reverse handoff to Will Warner, who sprinted 49 yards for a touchdown to cut the deficit to 17-10 with 4:46 left in the third quarter. Over the last 20 minutes however, Montana flipped into a different mindset, electing to exploit its athletic advantage on the perimeter in totality. 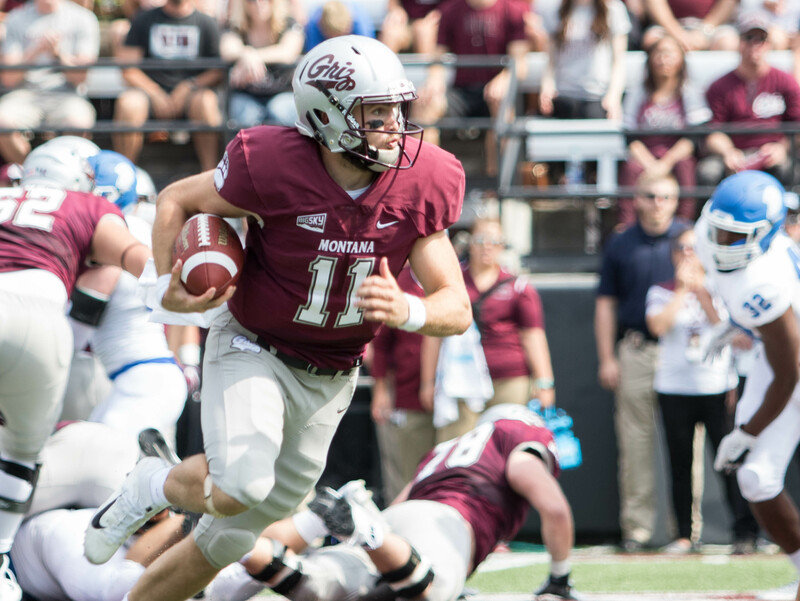 With quarterback Dalton Sneed implementing an instant scramble on all passing plays that weren’t designed timing routes, the Griz went to the well again and again. 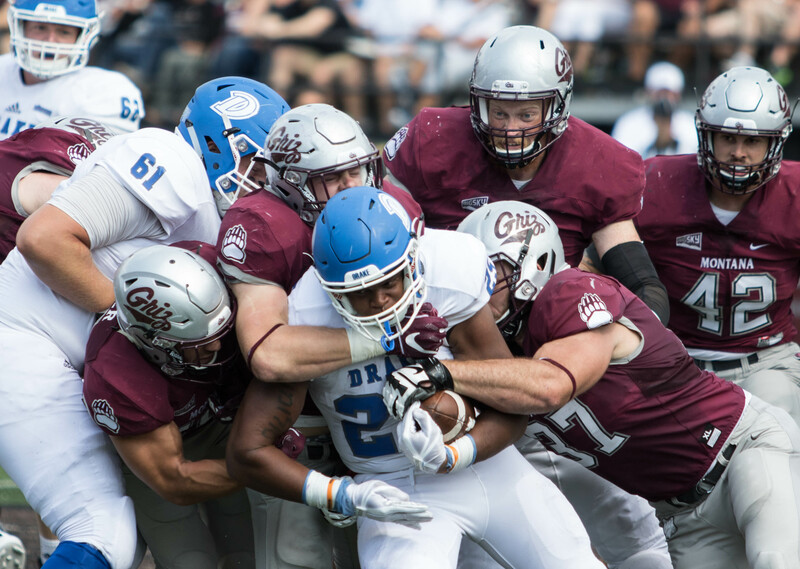 Montana offensive coordinator Timm Rosenbach isolated junior Jerry Louie-McGee all over the field, letting the ultra-quick playmaker break off Drake defenders. 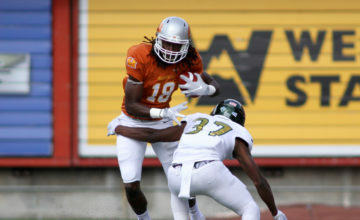 Louie-McGee had five catches on Montana’s ensuing possession following the fake punt score, including four grabs for first downs and a 13-yard touchdown catch to cap the march 44 seconds left in the third frame. “It was more protection stuff; they gave us a couple of fronts and things we didn’t expect and some pressure out of those looks,” Hauck said. “So it was a combination of two things we hadn’t prepared for. I thought the front guys did some good things. From there, the Grizzlies avalanched the ultimately overmatched Bulldogs with another stingy defensive effort, a barrage of takeaways and Sneed’s sudden ability to find his mismatches and dice Drake’s secondary. Following Louie-McGee’s touchdown, UM’s blitzing pressure flustered Drake senior quarterback Grant Kraemer, causing a rushed throw that Motnana senior Reid Miller intercepted and returned within 10 yards of the goal line. On the next play, sophomore Samuel Akem continued his career day, catching a touchdown to give UM an all of a sudden commanding 31-10 lead just 22 seconds after the answering touchdown strike. Drake would score one more time but so would Sneed, adding a 13-yard rushing touchdown to a day that saw him complete 31-of-47 passes for 278 yards and two scores while leading UM in rushing for the second straight game with 65 yards on 13 carries. 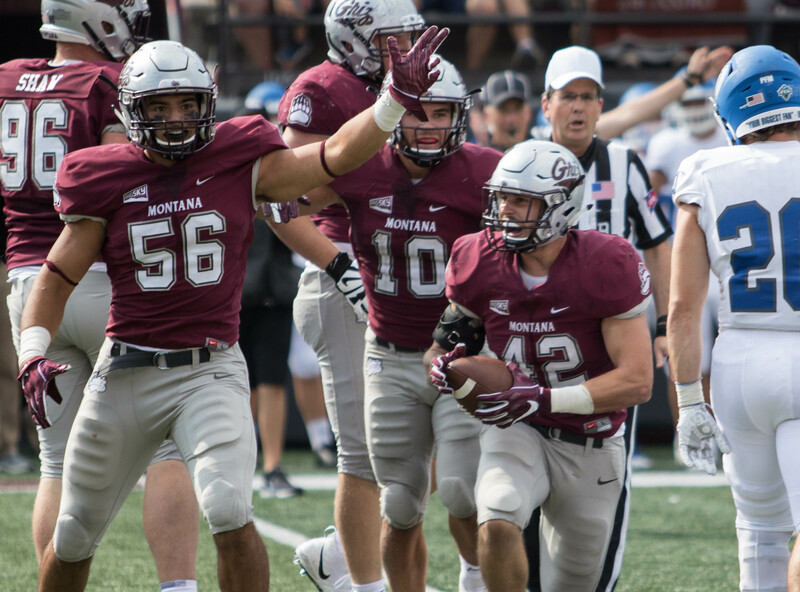 Montana’s 20-minute scoring barrage continued with Dareon Nash’s second interception, a sideline route the sophomore jumped and returned 40 yards for a touchdown to cap the abrupt onslaught.